Drip irrigation was able to meet pear crop water requirement and provide substantial improvement in water use efficiency in young trees. 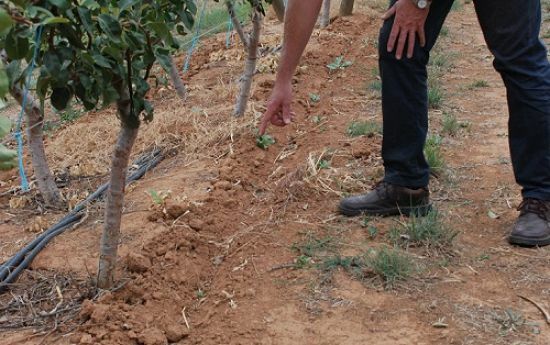 Water savings of approximately 35 % over the first four years after planting were achieved by using drip irrigation compared with microjet irrigation. Drip irrigation did not result in delayed establishment of young pear trees. In fact, drip irrigation increased early yields by 167 %. Pulse irrigation with microjets is not advised for pear trees in their first-leaf because of increased water losses via evapotranspiration, which decreases soil water availability and increases the risk of water stress. Once trees cropped, pulse irrigation improved fruit size. Combined with a trend for increased fruit number (not statistically significant), the increased fruit size contributed to 23 % greater yield in Pulse than Standard irrigation treatments in the sixth-leaf. Root pruning of young pear trees did not affect tree vigour or increase precocity. This experiment will compare the effectiveness of two different irrigation systems, micro-jet and drip irrigation. In this experiment, there will also be comparison between a multiple day irrigation frequency and a standard interval irrigation for both drip and mico-jet systems. This experiment will look at the effects of root pruning, compared to trees without root pruning, to determine if root pruning stimulates trees to come into fruit production earlier, and determine how much earlier production can be achieved. 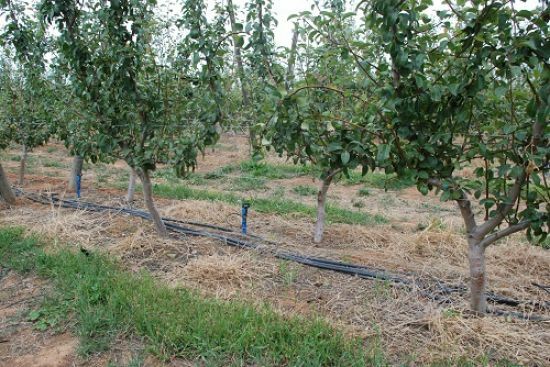 Summary of the effects of drip irrigation and irrigation interval in newly planted pear orchards on irrigation requirement, water status, growth and yield.